Central Park bike rental or Guided Bicycle tour ? Welcome to Central Park bike rental and tour company ! Are you looking for things to do in NYC ? Try Cycle Central Park – the best New York bike rental and tour service provider. We offer NYC bike rentals, Central Park bike tours, Central Park tandem bike rentals, Brooklyn bridge bike rentals, Hudson river bike rentals, private bicycle tours, NY pedicab tours as well as many different sightseeing tours. Cycle Central Park is an excellent place to rent a bicycle for your next outdoor adventure for many reasons, one being our location. Another reason is the selection of the products we rent, and of course cheapest prices in Manhattan! We are conveniently located just steps from Central Park in midtown Manhattan – next to all major hotels! Hours of operation: 9AM to 7PM seven days a week. We at Cycle Central Park have the biggest selection of over 2000 bikes for rent including children and adults bicycles. We also carry child trailer rentals for Central Park as well as baby seat rental and tag-alongs (tag-a-long, tagalongs). Professional bike riders will be glad to know that we also offer the best deal on Road bike rentals in Central Park New York City. Hire a bike in Central Park for less and you will not be disappointed ! We also offer Hudson river bike rentals & Brooklyn bridge bicycle rental. Must use promo code at checkout! 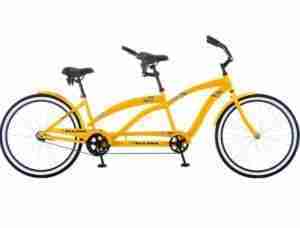 Also offering Central Park tandem bike rental. Tours are designed to appeal to people of all ages. Numerous opportunities to take photographs are provided. Brooklyn Bridge bike tours & rentals available. More about tours & reservations. Love walking? With 843 acres to explore we offer the best guided Central Park walking tours in New York City. Walking tour of Central park takes approximately 2 hours. Each individual group will not exceed 25 people! Available daily, year round. Reserve online and pay only $24 per person. Some of the sites we visit include: Strawberry fields, Shakespeare Garden, Bethesda terrace (the oldest fountain in Central Park), Belvedere castle, the Mall. Join our licensed NYC tours guides on a journey that you will not forget. We also offer Brooklyn bridge walking tours. Please click below fir more information. 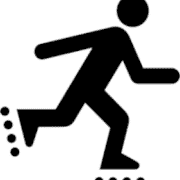 If you are looking to rent rollerblades in Central Park we have the largest selection in New York City at the lowest rates. Its up to you if you want to stay in Central Park or explore other parts of NYC like hudson river park, soho, meatpacking district, Brooklyn, Queens or Staten Island. NY offers amazing rollerblading experience with hundreds of miles of bike paths and pedestrian walkways all across five boroughs in New York City. We are located just a few short blocks from the main entrance to Central Park ! 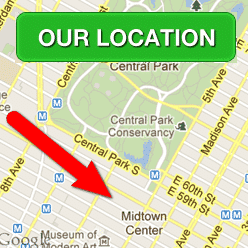 Our address is : 54 west 56th street NY 10019 (56th street between 5&6 avenue). It only takes about a minute to get to it and you can use a dedicated bike lane that goes right from our bicycle store up to Central Park ! Hours of Operation : 9 AM to 7 PM Every day – All year long ! Convenient location. Only 1 minute from the main entrance to Central Park. New – quality bicycles. 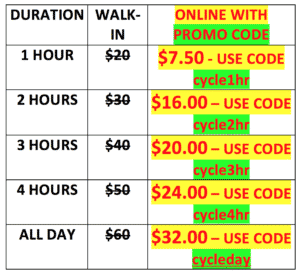 We will always have bicycle rentals in stock – guaranteed! Over 2000 brand new bikes available of all sizes: kids, adults, tandem, hybrid city bikes, Mountain & road bikes. Child trailers, tandem bikes, baby seat rentals, tag-alongs. Need a baby seat or a child trailer? Looking to rent a tag-along in central park? We have all the accessories! Free lock, helmet, basket & a map. All bicycle rentals and tours come with a FREE helmet, lock, basket & a map Central Park. Cheapest bicycle rentals and tours in Central Park New York. Do you need to rent a bike in Central Park or New York City for more than 1 day? We offer the lowest hourly, daily, weekly and monthly bicycle rental rates in NYC NY. Professional staff. Only highly trained and licensed professionals work with us – they will help you choose the right equipment. Choose our popular Central Park Pedicab tour or pick our private pedicab tours to see other locations like Times Square , Macy’s, 5th avenue, Grand Central station, garment and fashion district, Soho, financial district, pedicab movie tours, pub crawls and short rides anywhere in Manhattan. The great thing about our amazing tours is that they can be customized for any location and can include any pick up point in Manhattan whether it’s a street corner, restaurant, hotel, Broadway show or anywhere else in Manhattan. The pedicab tours in Central Park will allow you to see the city as never before. It is an amazing option for those who choose to enjoy it. You can use our pedicab tours to tour the city in so many ways. Pedicab tours allow you to take your own customized tour of NYC. Your rickshaw driver will give you information about phenomenal places to eat in NYC, landmarks in the city, and maybe the Mayor’s favorite restaurant. The advantages of our tours are allowing passengers to have a Birdseye view of the city. Pedicab tours are the only way to see the city and take advantage of the knowledge of our licensed and insured drivers. Our pedicab tours in NYC will allow you to experience the city as never before. Are you getting married? 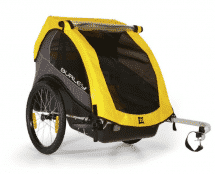 Do you need to rent a pedicab for any event in or around NYC ? We can help – we offer pedicab rental services in NY, NJ, CT, PA for weddings, birthday parties, bar / bat mitzvah, including other Jewish holidays. We will deliver and decorate these cycle rickshaws according to your needs. 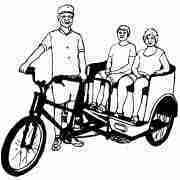 LEARN MORE ABOUT PEDICAB RENTALS & TOURS. Are you looking to advertise on pedicabs in NYC to reach millions of impressions? We can help – you can find more information here! The Carousel, The Dakota Building, The Dairy Cop Cot, Victorian Gardens, Wollman Ice rink, The Chess and Checkers House, The Mall, Children’s Zoo, Balto statue, Boathouse restaurant, Alice in wonderland statue, Conservatory Waters, Summer stage concerts, Mother Goose, Delacorte Theater, Naumburg Band shell, Bethesda Terrace, Bethesda Fountain, The Lake, Cherry Hill, The Cherry Fountain, The Bow Bridge, Grand Army Plaza, The Falconer, Sheep Meadow, Lawn Bowling club, The Majestic, Tavern on the Green restaurant, Strawberry Fields, Heckscher Playground, Ladies Pavilion, Museum of Natural History, Swedish Cottage, Turtle Pond, The Ramble, Belvedere Castle, Great Lawn, Jacqueline Kennedy Onassis Reservoir, Romeo and Juliet place, The Tempest, Shakespeare Garden, The San Remo building. There’s the New York that the tourists experience and then there’s the real NY that only New Yorkers know. Well if you want the real New York visit Cycle Central Park. We will give you a biking and tour experience unlike any other. We are bike enthusiasts who want to share our love for New York’s Central Park coupled with our love for biking with everyone who wants the best Central Park bike tour available. You could choose anyone for your Central Park bike rental, Central Park bike tour, walking tour of NYC as well as Central Park horse and carriage ride. We have plenty of choices. Finding the right company that not only provide Central park bike rental and tours can be challenging! It can be hit or miss, like choosing based on eenie, meenie, minie , moe. We make it easy! If time and money are as valuable to you as it is to us, do yourself a favor and join our growing list of satisfied, repeat customers who will not go any where else. Our customer service is exemplary, we handle your concerns and issues as if they were our own, and we guarantee an amazing experience or your next ride is on us. Hire us today and we will be your top place to rent a bike in Central Park for life. We are just that confident in our service. We are not boasting or bragging. We are humble bike enthusiasts who can just state the facts of our service. We’ve been in business for combined 30 years bringing incredible biking and tour experiences to people from around the world. Central Park is one of New York’s most popular and phenomenal places that makes the city such a great place to live. The huge park is the most visited urban park in the United States, located in the center of Manhattan. It is home to millions of visitors a year and comprises of beautiful lakes, theatres, ice rinks, playgrounds, baseball fields and other such facilities at an outstanding size of 843 acres (341 hectares). Many tourists and visitors that come to Central Park every time wish to travel from one place to another in search of its many attractions. There’s plenty to see and lots to do all the way from engaging yourself in sports facilities to sightseeing historical buildings, monuments and statues alike etc. In order to facilitate the common visitor’s basic need to such flexible travel and movement, we welcome you the access to our Central Park bike rental facility for Cycle Central Park Bike rentals and Tours NYC! We are conveniently located just steps away from Central Park in midtown Manhattan and offer you a wide selection of rented products at the lowest and cheapest prices in NYC. Our Central Park Bike rentals operate 9 AM to 7 PM seven days a week. Online reservations offer you up to 50% discount and gear you up with a FREE Helmet, lock, basket and map of Central Park for your easy travel plans. Our range of over 3000 brand new cycles are available in all sizes, ranging from for kids to adults, tandems to hybrids, city bikes, Mountain bikes and road bike rentals and and various accessories like baby seats, trailers, tag-alongs. Our team members are professional licensed New York City guides that are excited to show you the real New York like no other. At Cycle Central Park Bike rentals and Tours NYC have a combined 30 years experience in bringing you incredible biking and tour experience. With our 5-star customer service and astounding client feedback, our company is rated No.1 10 years in a row. Our employees love what they do and make sure that every customer is satisfied. Whether you’re new in New York or a full-fledged resident in the city, we always guide you on what is nearby and give you a scoop on something hip and happening around you that you would love to see! When customers try to look for the best bike rental Central Park they often get mind-boggled and puzzled figuring out which one out of them all will have a quick, smooth and easy last minute return process at 3 of our locations – Brooklyn bridge bike rental, hudson river bicycle rental , and our signature bike rental shop near Central Park. Look no further – visit us today! As a California native, I’ve always wanted to experience the whole movie-like “riding a bike through Central Park” thing. So when I visited NYC for my internship, I looked up Cycle Central Park and went for it! As you can tell by the 5-star rating, I’m glad I did! First off, what differentiated this company from the average is the fact that the employees obviously love what they do. They didn’t just give me a bike and say “have at it,” they provided detailed info that helped me maximize my experience. I was obviously a New York newbie, so they gave me the scoop on what was nearby and how long it would take me to get there. I was even directed to the nearby sandwich place at which I had what may be the greatest pastrami EVER (and that’s saying something). The bike itself was in great working order with no problems, and I was able to legitimately save money by purchasing their Yelp Deal via smartphone before walking in. I was given a lock for my bike as well, so I could enjoy my pastrami without losing the merchandise! The return process was quick and easy, my only regret is that I didn’t have more time to spend seeing as a Central Park biker. If you’re looking for that real Central Park biking experience you’ve always heard about, look no further than Cycle Central Park! I love NYC and I love riding my bike everywhere. However, I really don’t like is how difficult it is to bring my bike *into* the city using public transit. After a bit of due dilligence, I learned that these guys were a good bet. Not only was my rental clean and well maintained, but they also threw in a free helmet, free lock, and a map to sweeten the deal. Perfect place for bike rentals if you’re looking to spend the day in central park, they’re conveniently located right nearby. Cycle Central Park exceeded my expectations. Very easy to use. Fast, friendly, and courteous. This beats renting a pedicab by a WIDE margin. And it’s healthier for you! The only thing better than a rental for a trip around Central Park is a few rentals for a tour around the park with some buddies. Not only am I coming back, but I’m bring friends. My children and I rented bikes from Cycle Central Park last week, and we had a blast. They have bicycles of all sizes and colors, so part of the fun for my sons was just choosing and comparing their bikes; they felt like they were little adults buying cars! The staff was friendly and funny, while being informative at the same time. We took one of their guided tours to make sure we had the most engaging experience possible. While on our tour, the guide catered to my children very well since it was obvious that they were my focus. The explanations and stories he delivered were easy for them to understand and kept them involved the entire time. I was able to not only enjoy the serenity of cycling through Central Park, but enjoy watching my kids’ excitement at taking their first guided tour! All things considered, Cycle Central Park is a great value for the price. They have plenty of other kinds of bikes other than the traditional ones, which we will definitely have to try next time. One of my sons just recently learned how to ride without training wheels and is still a bit shaky, and I was impressed by how much patience the staff had with him. This lets me know that CCP is a good choice for beginning bicyclers all the way to professionals. I haven’t tried any other New York bike rental establishments, and don’t need to now that I’ve discovered Cycle Central Park. I give them an A+! The best central park bike rental experience in NYC at the lowest rate if you make a reservation online on their website ! You must rent a bike from the best bicycle store in New York City – THANK YOU !